There is this "thing" about Midwesterners. They totally don't get sweet tea. Like - not at all. And, well - IT IS LIKE THE GREATEST DRINK EVER! I mean, you just can't get it here. Well - except for at McDonald's (PRAISE JESUS for small mercies!) - and even that is somewhat sketchy because I'm not sure how they make it or if it's just tea flavored high fructose corn syrup that will eventually lead to the worst thigh spreading known to man. If you order "sweet tea" at a restaurant here in town, you'll get a look like you're a crazy Southerna' who must eat pork rinds and like lard. And, they inevitably say, "We have unsweetened tea that you can add sugar to, if you'd like." Oh, for the love of General Lee. That is NOT sweet tea. That is "sugar be hangin' out at the bottom of the glass and me be drinkin' the same stuff you poured in the glass." I am always reminded about our unique Midwestern livin' love for sweet tea when we have friends over. Because they gulp down glass after glass and always ask, "How did you make this tea?" SO, here is how you make Traditional Southern Sweet Tea. Short Stop style. Tomorrow's post: How to make Lard-Dipped Pork Rinds. Fill a small pot with 2 cups water. Heat on the stove until boiling. While the water is heating, remove packaging from tea bags, as well as the tabs at the end of the strings. Tie strings together so that the tea bags are in one bunch. After water has boiled, turn off heat. Add sugar and stir until completely dissolved. (The hot water will dissolve the sugar easily.) Add the tea bags and allow to steep in the pot for at least 5 minutes. Add tea mixture to gallon pitcher. Fill with water until full. Serve over a glass of ice. Making me thirsty now. I like sweet tea, but I prefer mine with a little less sugar. Thanks for a recipe on this. OK, so even though I lived in North Carolina for nearly 10 years, I never did develop a taste for sweet tea. I know, gasp. But it really stems from the fact that I dislike the aftertaste of tea in general and no amount of sugar hides that for me. BUT. I'm so glad you posted this recipe so that when we have you all over for meals, I can make something you'll like rather than subjecting you to European style water, diet soda, or beer. I think it sounds delicious. I'll give it a try! I am not a fan of tea at all... can we still be friends?? My hubby and kiddos love it. I will definitely have to make this for them. It might make Lance's week. He is a huge tea fan. Thanks for the recipe. I will be adding it to my Short Stop recipe collection. That is "sugar be hangin' out at the bottom of the glass and me be drinkin' the same stuff you poured in the glass." You are so, well, Sarah. I have had sweet tea a couple times, though, and really liked it! Wait...you mean there's ppl out there that drink tea without sugar in it?! whaaaaat? lol...sooo good! Bojangles has the best sweet tea, although Zak's is pretty darn good. People always ask how he makes it. We'll fill up when y'all come down in April. And on some eastern-style barbeque, frozen custard, chickfila, and other unmentionables. I'm hungry! mmmm, sounds delightful and refreshing! have you tried good earth's sweet & spicy decaf tea? it is SO GOOD! and SO SWEET! it needs no sugar (stay with me, i'm not lying). if you haven't tried it, and do not have it out there, tell me i will send you a box. you will LOVE IT! BTW, puh-lease tell me you're joking 'bout the pork rinds?? Yuck?! I l.o.v.e sweet tea and can't find it anywhere in Indiana except McDonalds. And that' OK (in fact I had it this morning after many weeks off), but it's not good sweet tea. I have to say when I read the ingredients I was a little panicked - 2 cups water and 1 cup sugar! Glad I read on and saw that you then fill the pitcher with water. I LOVE sweet tea! This summer, I was making a gallon jug every other day, since Mr. Clairol and DQ cultivated a taste for it. NO lie, as I sat down to read your post I had a glass of sweet tea in m hand. I use my MR Coffee Sweet Tea maker and have recently had to make a pitcher a day. Good stuff, I tell ya. My mom taught me to add my sugar to hot water and let it dissolve before adding that to the pitcher... works beautifully! 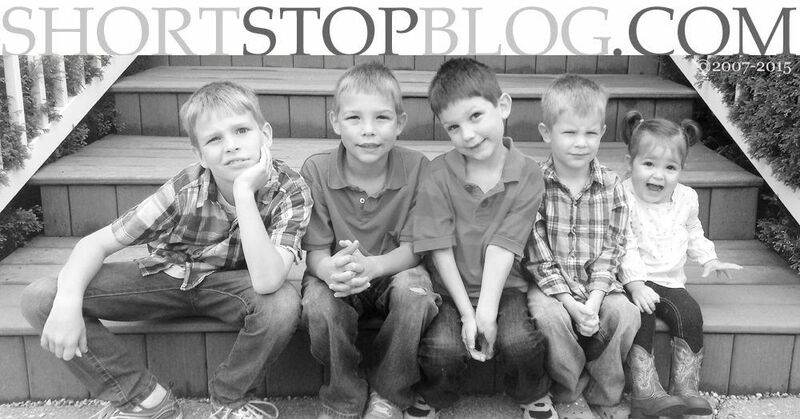 I have been lurking for a while and enjoying your blog. I also have a glass of sweet tea right now. I make mine a little different. I fill the pot with 2 cups water and put it to heat. I don't let it boil (makes the tea bitter). I remove it from the stove and put in 4 bags of tea and let that sit for 30min-1hr. Don't worry.. The tea is still warm enough to dissolve the sugar. I add 2 cups sugar, pour in a pitcher and fill the rest of the way with cool water. Then, I let it chill all the way before drinking. Its so good and doesn't have that bitter after taste that some teas have! Yep, yep, yep! That's how I make mine. Here lately, I've been doing 1 c. of Splenda rather than sugar, though. I have always lived in the South, but I do not care for sweet tea at all. All that sugar covers up the taste of the tea! You are right, though, the only way for it to be true sweet tea is to add the sugar as indicated in your directions. So, even though Anna commented about Zak's tea-making abilities, and I know you and he both put the tea bags in before the water boils, I've been around on multiple occasions when Zak forgot about the tea, the water boiled dry, the tea bags filled the apartment with smoke, and the pot he was using had cooked-on concentrated tea residue. When I lived in California, people thought "Sweet Tea" was alcoholic and asked me what liquor was in it. We met another youth pastor and his wife on a retreat last fall in Texas. They are pastoring in Pennsylvania but were originally from North Carolina. We went out for dinner with them and the restaurant was serving sweet tea and us Midwesterners were so excited and the wife laughed. She said she always has sweet tea in the fridge. SO YUMMY! I'm glad you've decided to share this Southern secret with us! YES!! The sweeter the better!!! Yummmm!!! I really hate to tell you this, but McD's sweet tea is equal parts sugar and water. Ick. i love sweet tea and i've never been to the south. we have a couple of bbq places as well as chik-fil-a that serves it. btw, our mcd's doesn't have it. weird, huh? but i can't drink the elixir of the gods because of my diabetes. and i do miss it. See but here in GA, at least in my family it is still done differently lol. I take 10 little tea bags, remove tag from strings, put them in a small saucepan (used only for tea) and bring to a boil, immediately remove from heat and let steep for 15 minutes. Get my gallon pitcher (used only for tea) and put 2 cups of sugar in then pour tea in and stir till sugar is dissolved. The I add cold water till full and stir well. Pour over a glass full of ice and enjoy!! "sugar be hangin' out at the bottom of the glass and me be drinkin' the same stuff you poured in the glass." is what we got everywhere we went when we moved to Wyoming lol. It was awful. I was happy to move back to GA, the land of kfc, bojangle's and sweet tea. This post totally made me grin. As a northern girl myself, I used to giggle at my brother-in-law who was from Georgia and had sweet tea all day long. 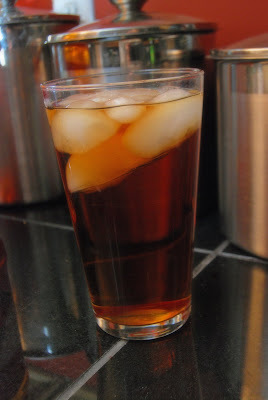 I never tried it, as I assumed it was tea with sugar added...but soon after, we were stationed (Army family) in South Carolina, and I was introduced to the real sweet tea...oh my goodness, I'm in love!! And now we are about to move again to our next base in Hawaii...and I'm going to miss it soooo much! :) thank you for your recipe, I will be taking it with me to reminisce about our days as southerners!